Another young Nigerian said to be spending large without a known business, has been arrested by police in Ghana. 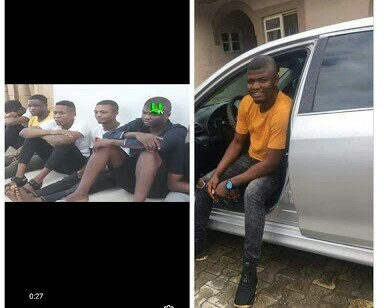 The suspect identified as 'Solo Pounds' from Sapele area of Delta state - was arrested after being accused of belonging to an internet scamming syndicate and also armed robbery. He was apprehended along with other suspects and will be charged to court as soon as investigations are concluded, according to the police. This is coming days after the Tema Regional Police Command in Ghana as part of plans to clamp down on criminal activities in the metropolis, arrested 13 Nigerians.